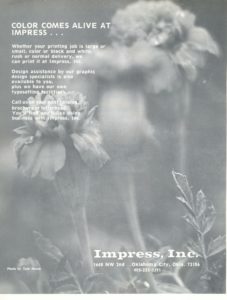 by Lynne Rostochil. 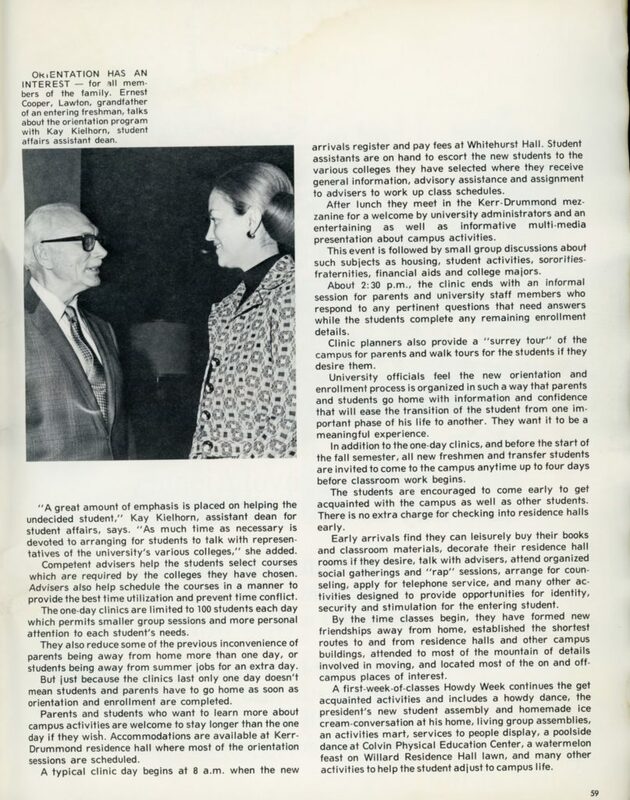 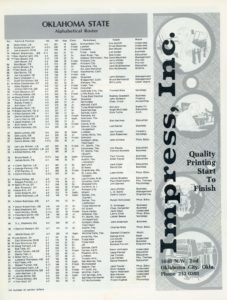 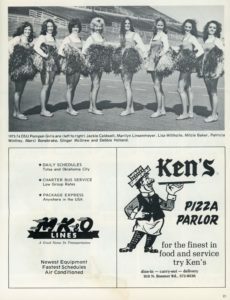 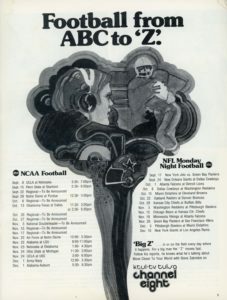 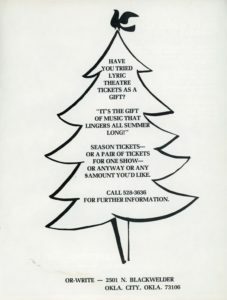 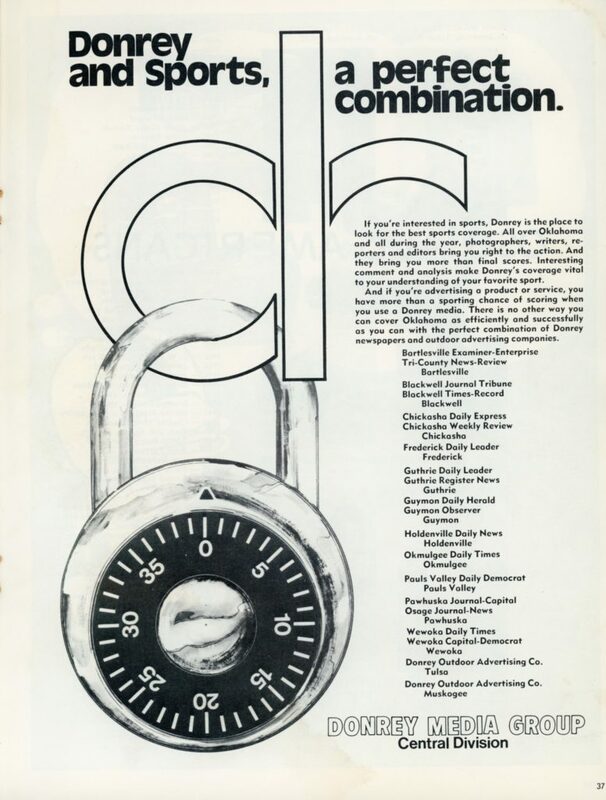 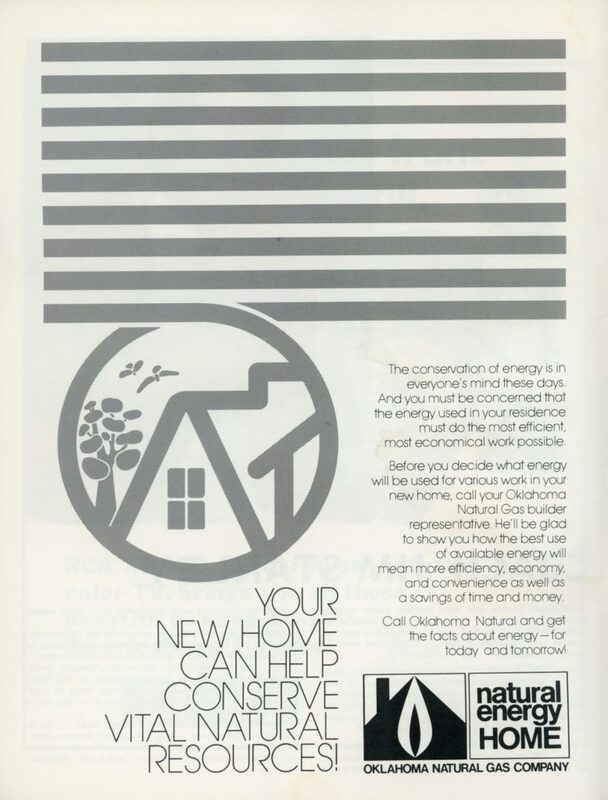 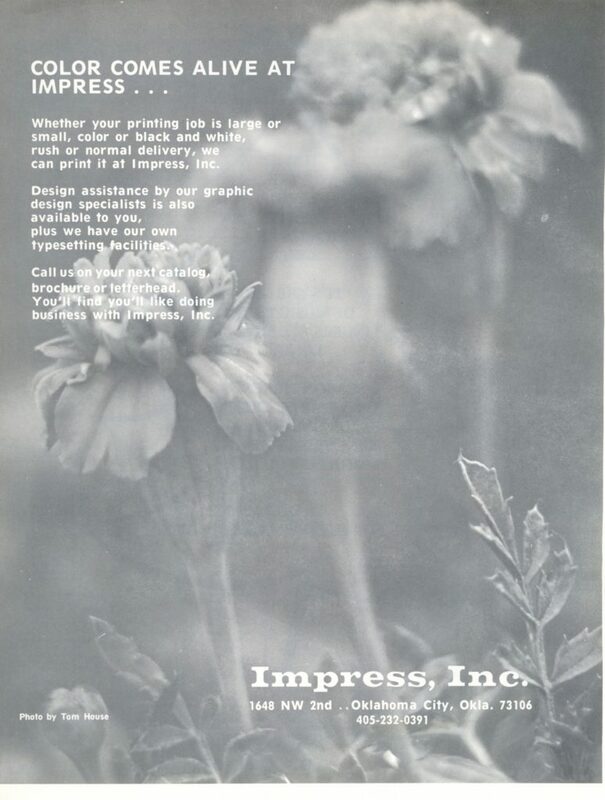 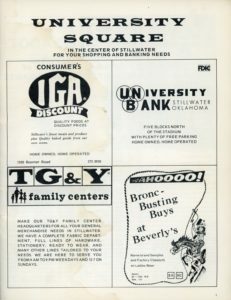 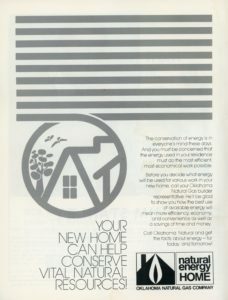 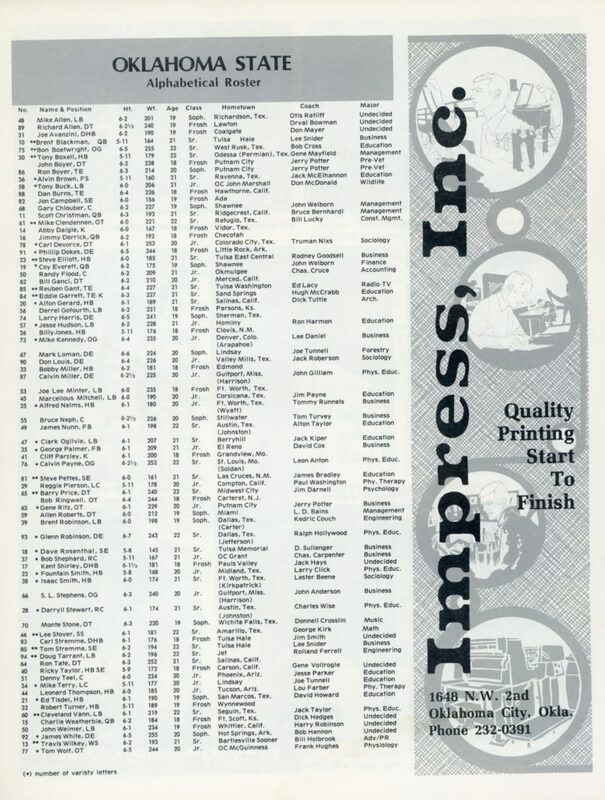 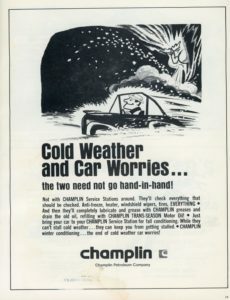 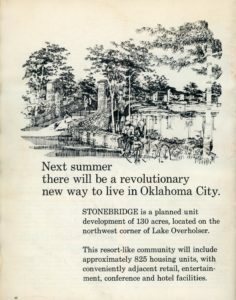 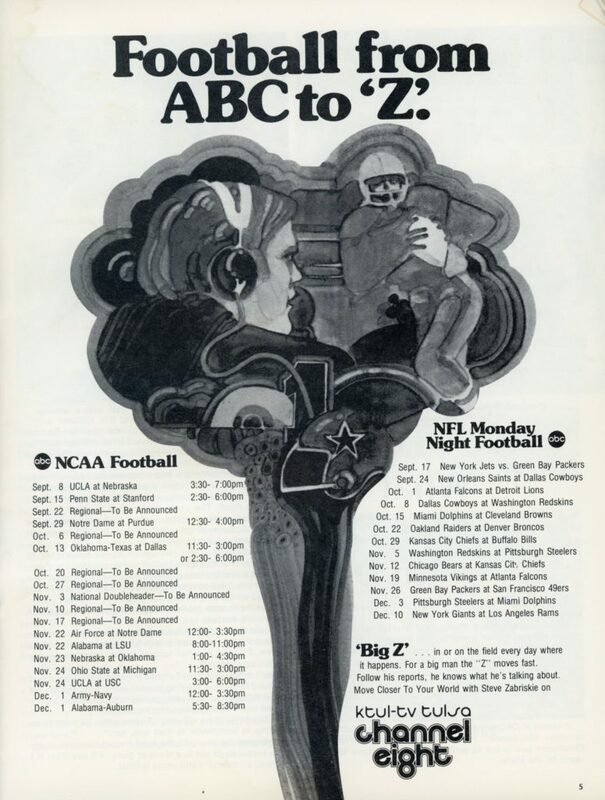 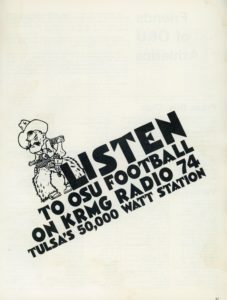 Program from her collection. 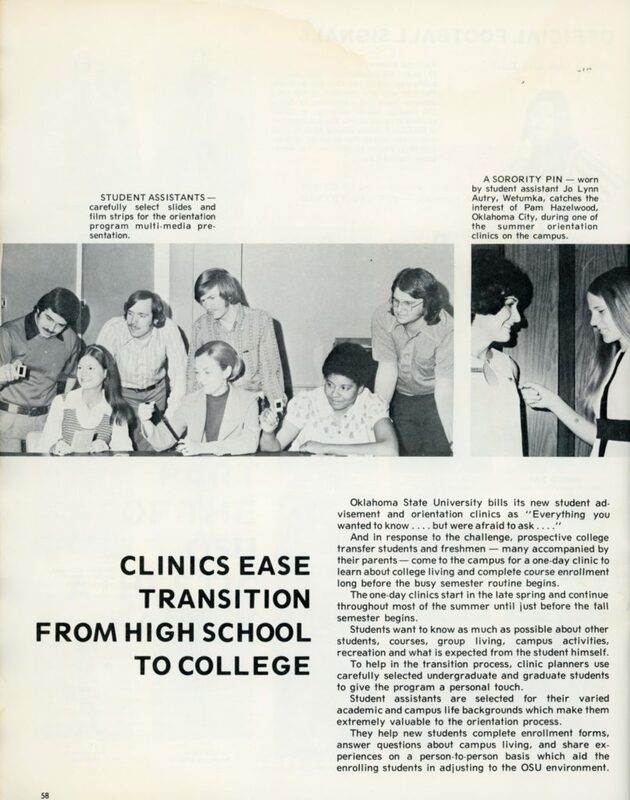 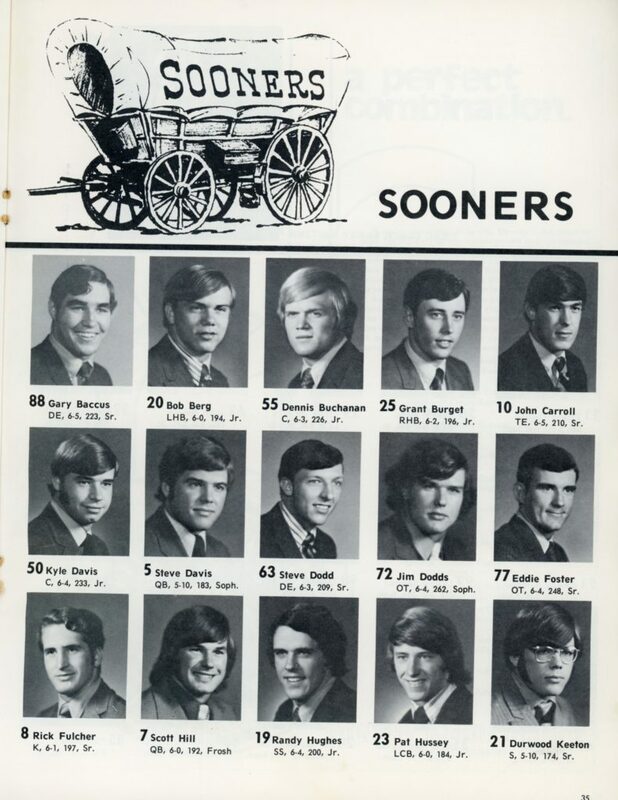 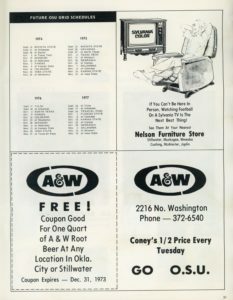 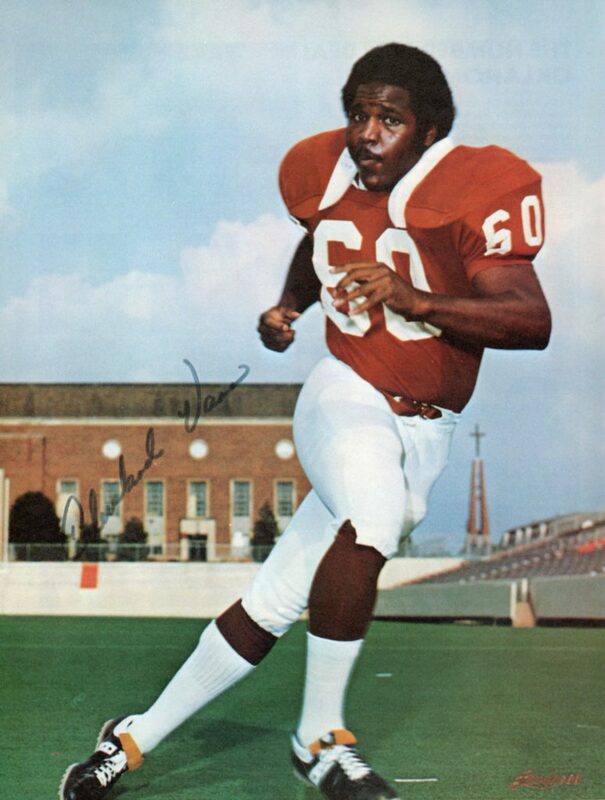 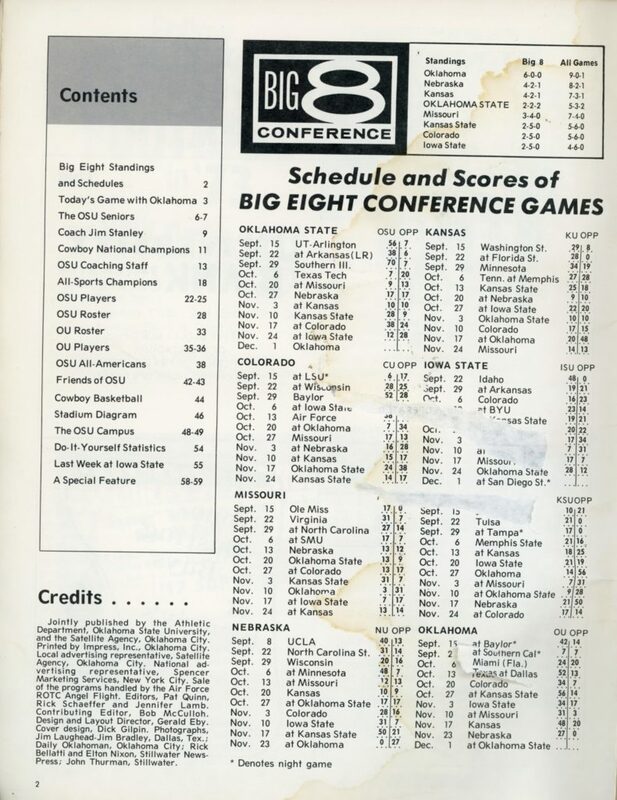 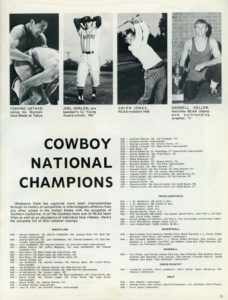 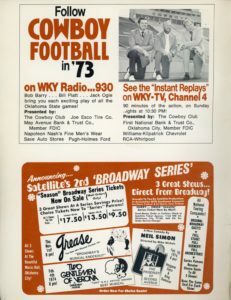 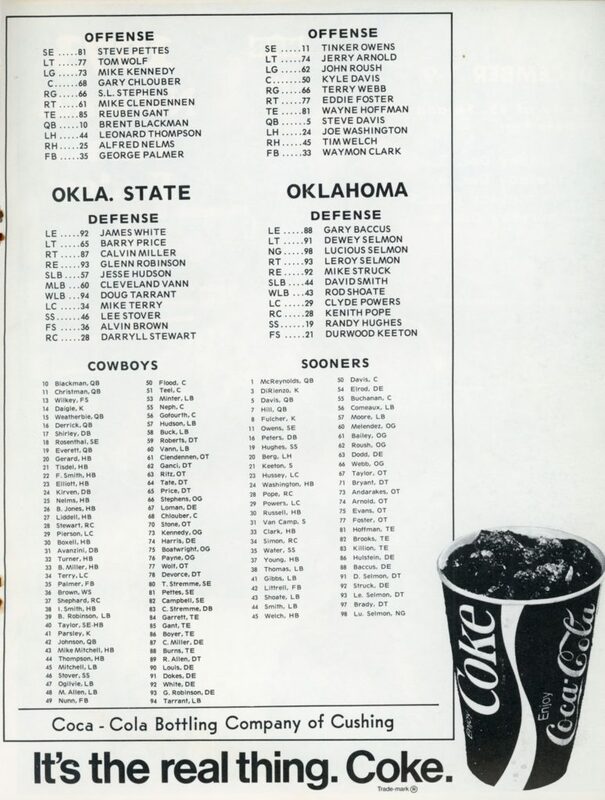 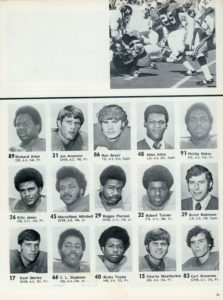 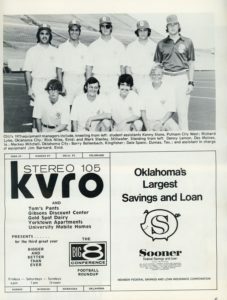 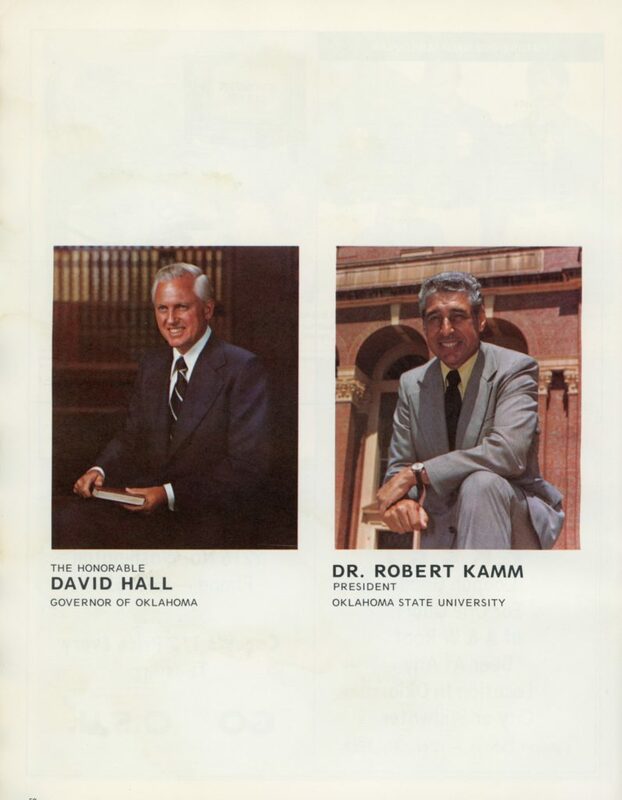 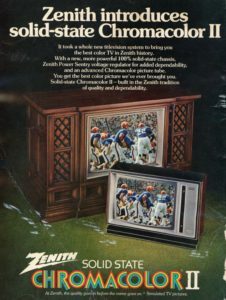 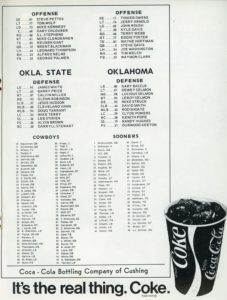 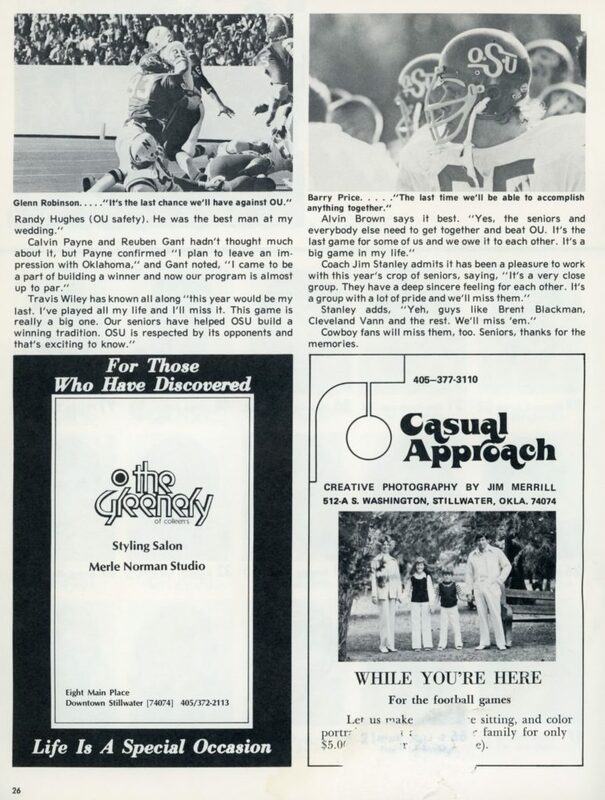 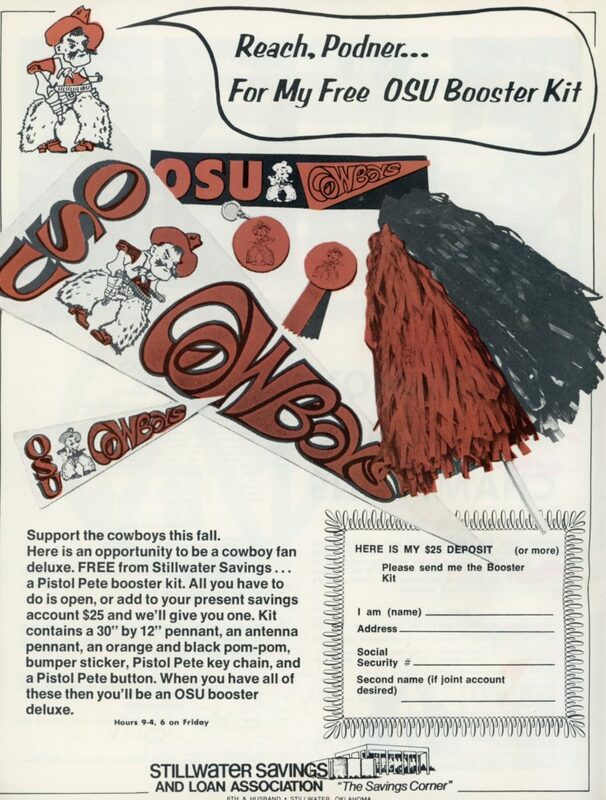 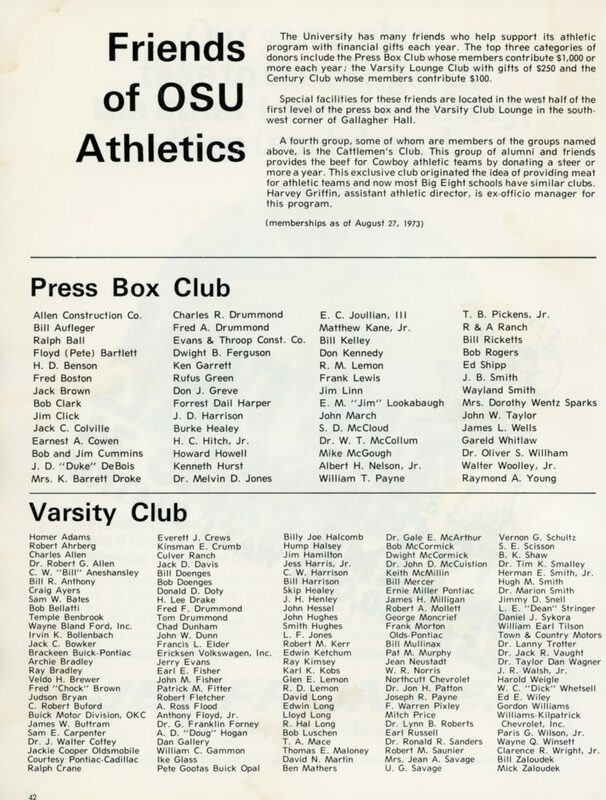 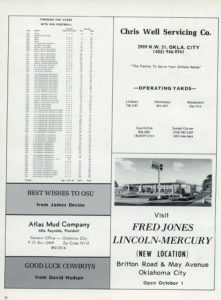 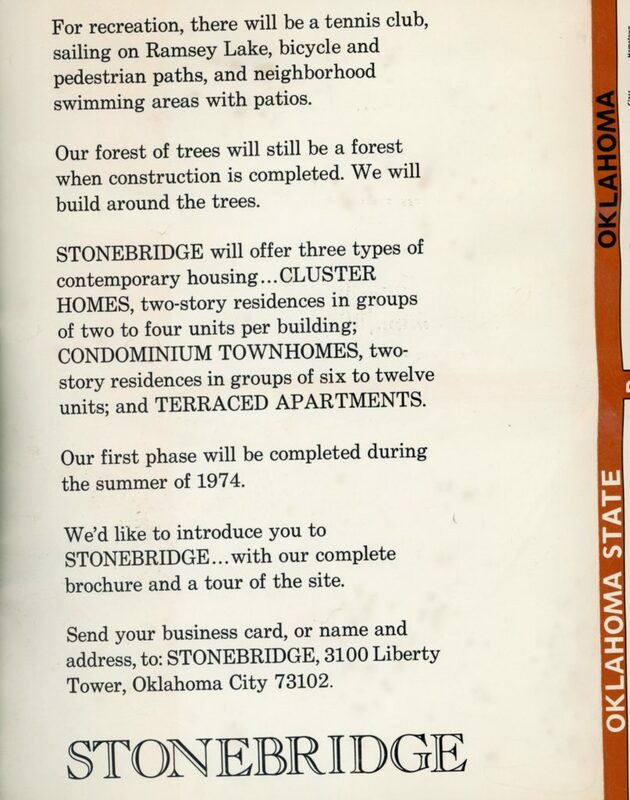 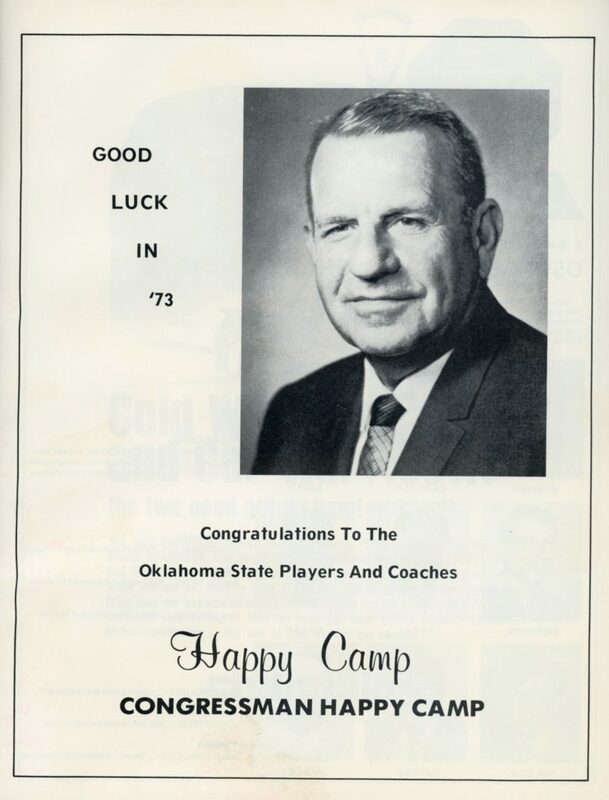 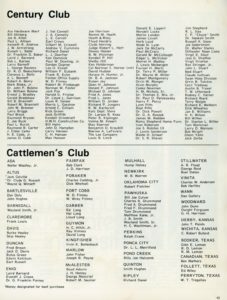 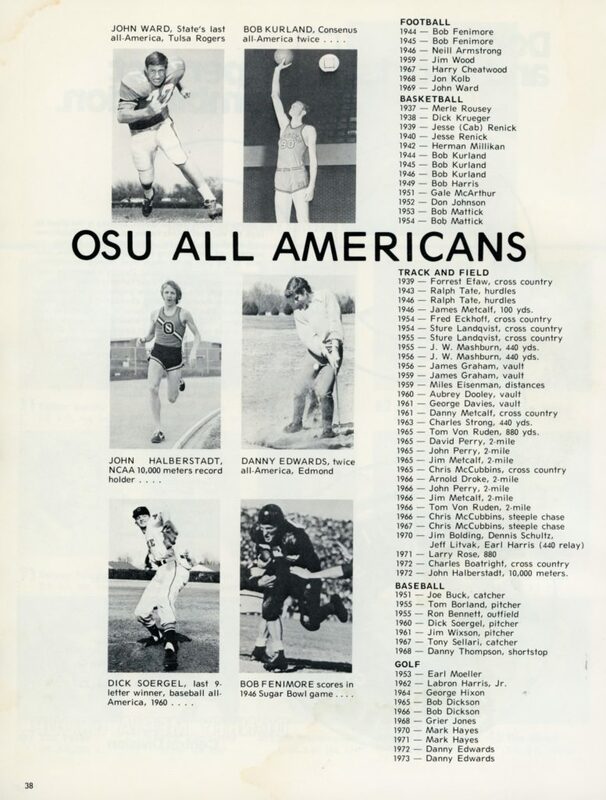 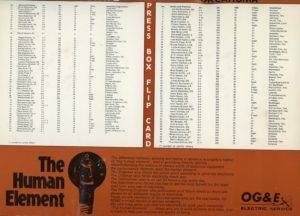 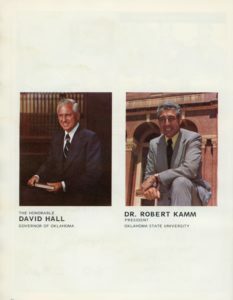 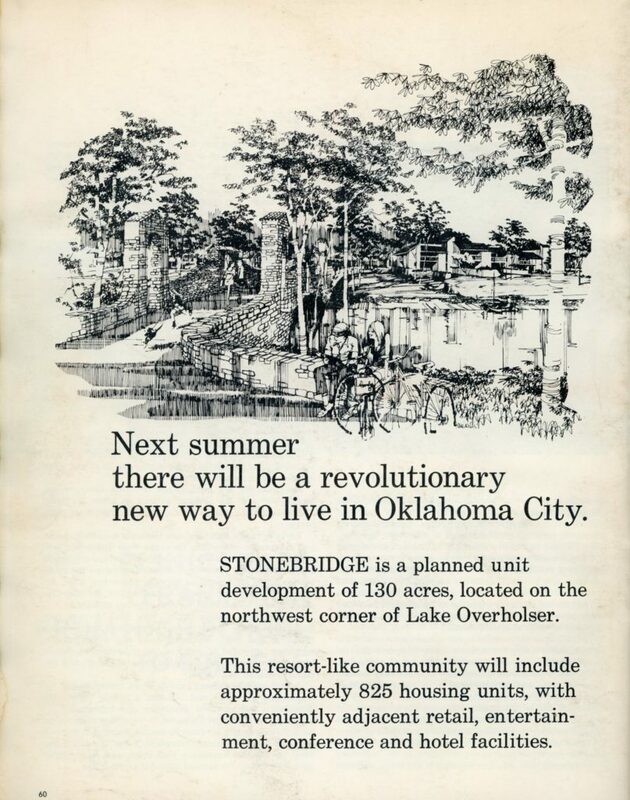 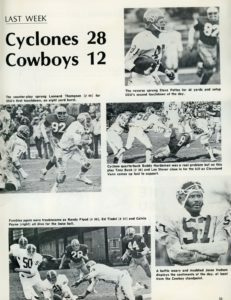 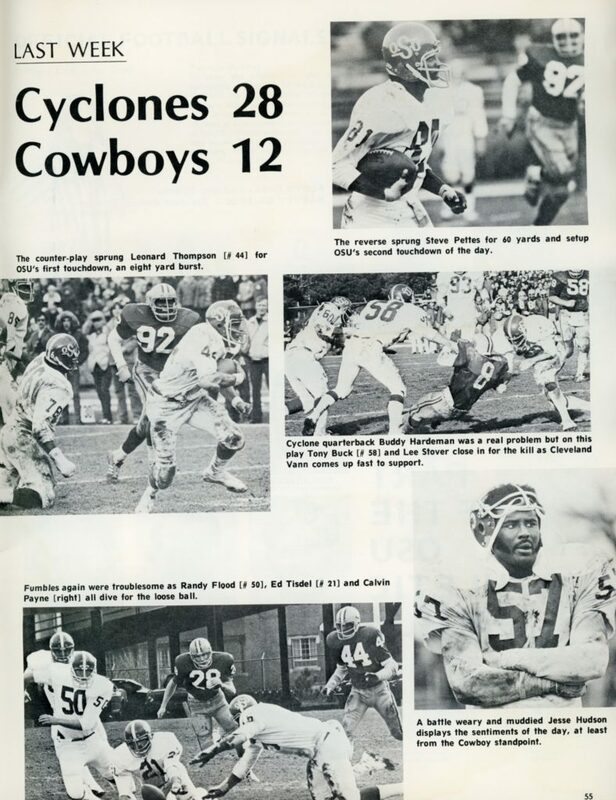 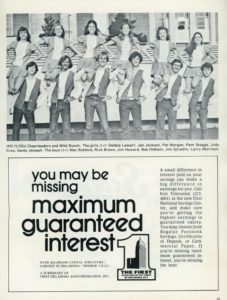 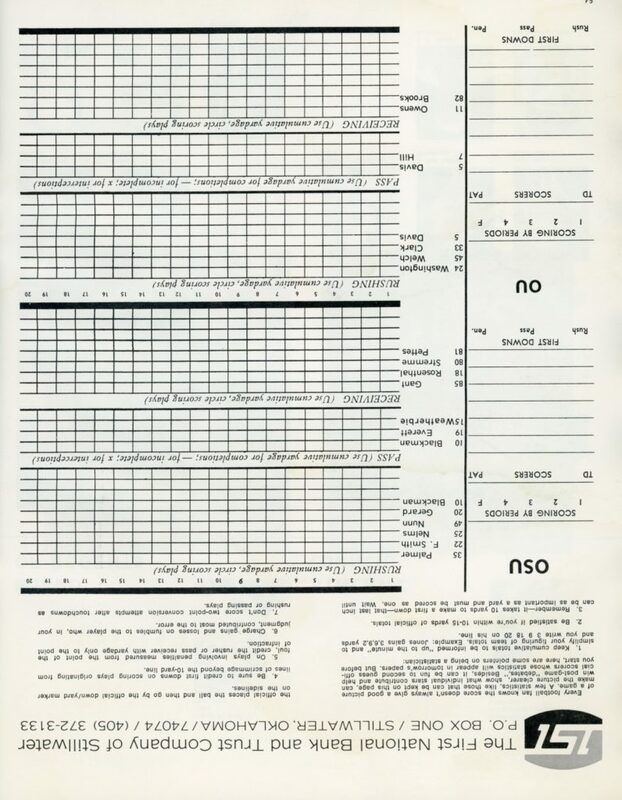 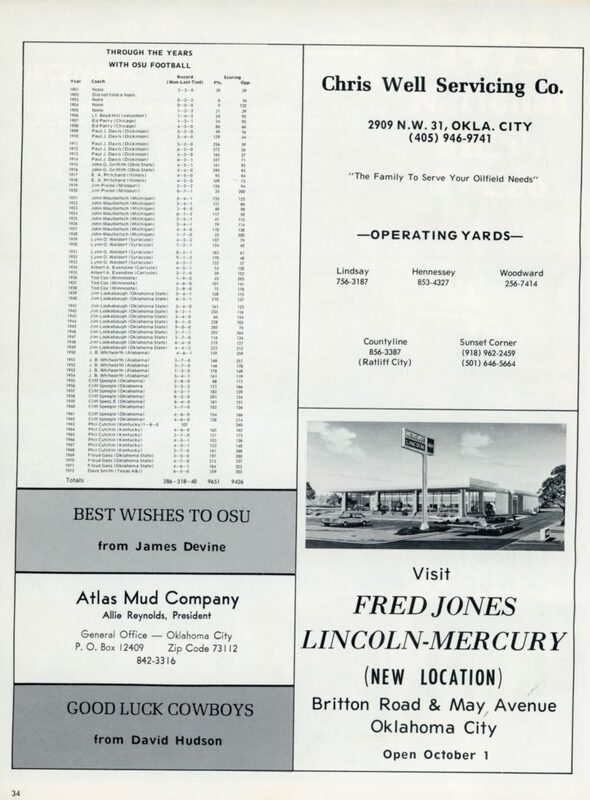 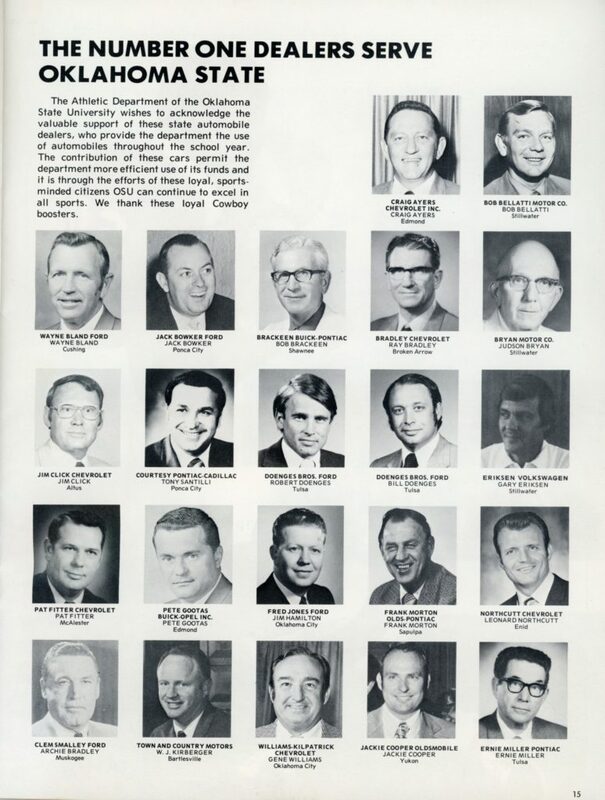 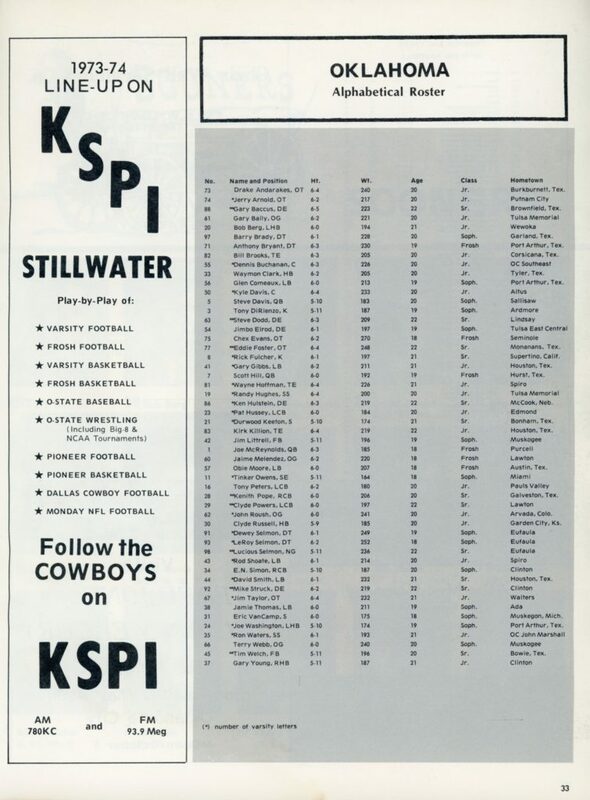 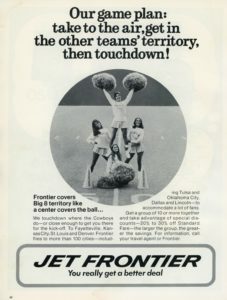 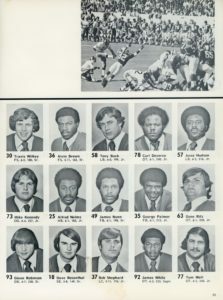 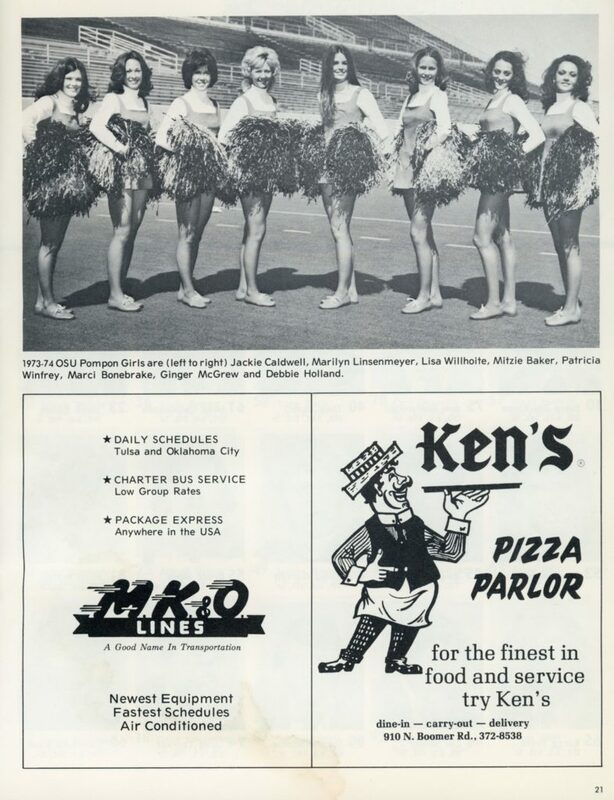 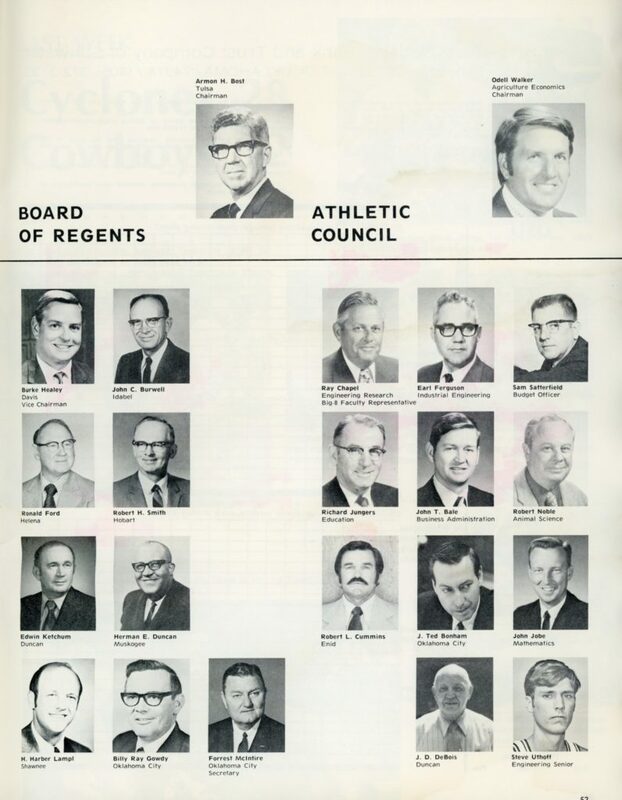 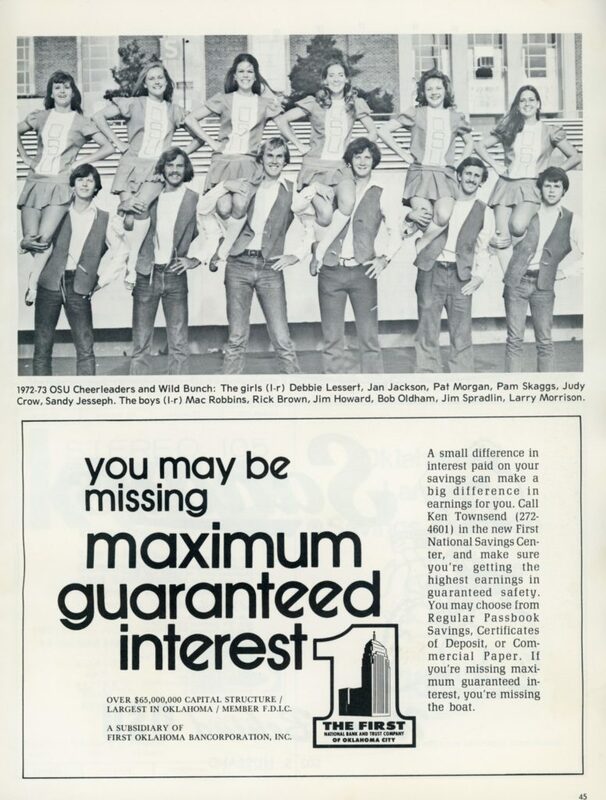 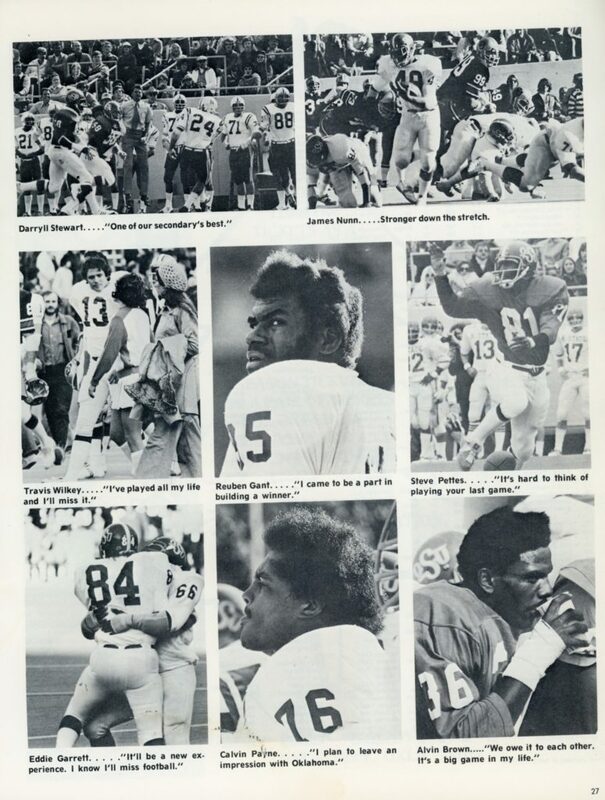 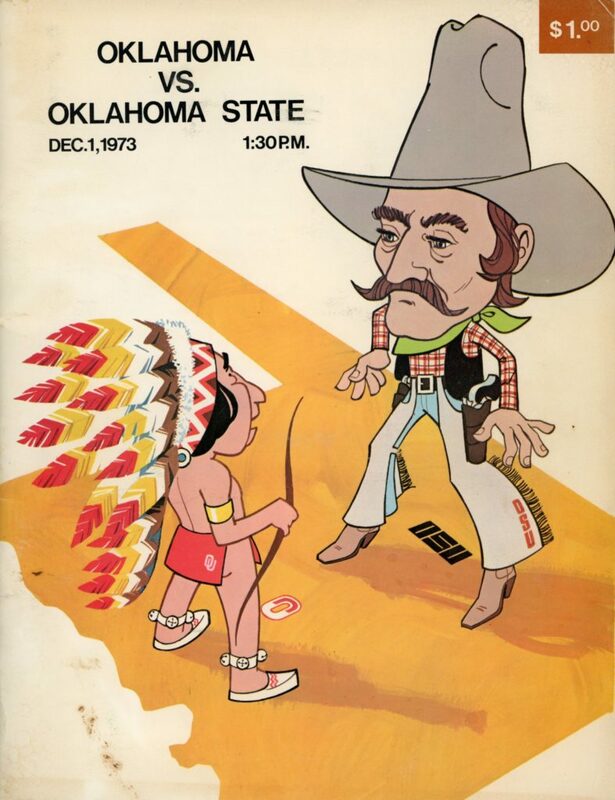 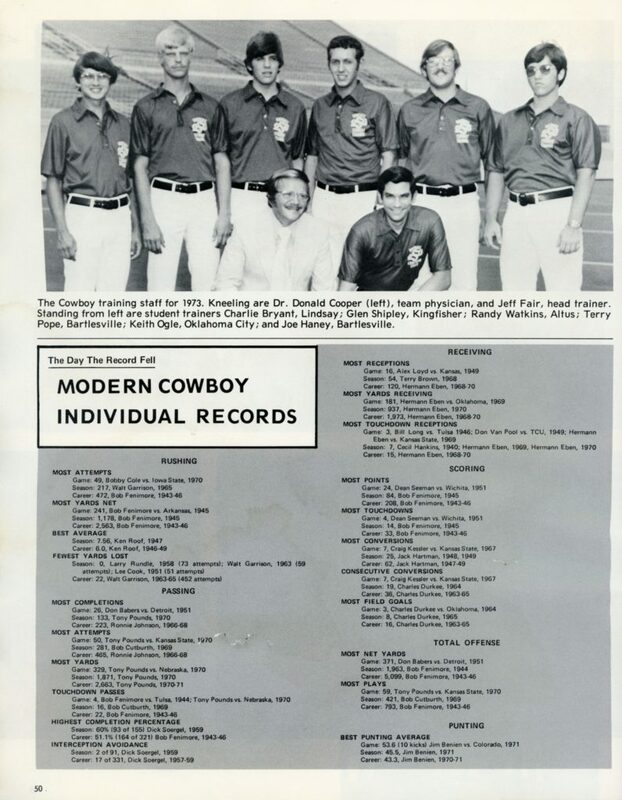 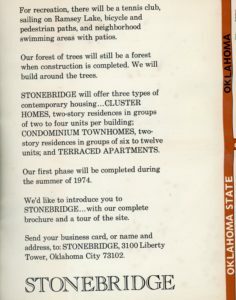 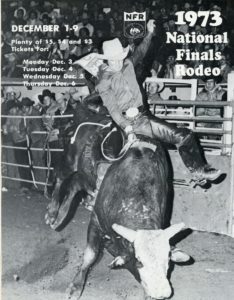 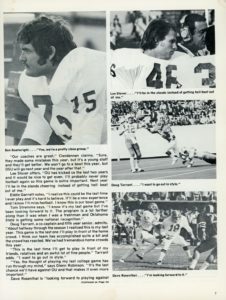 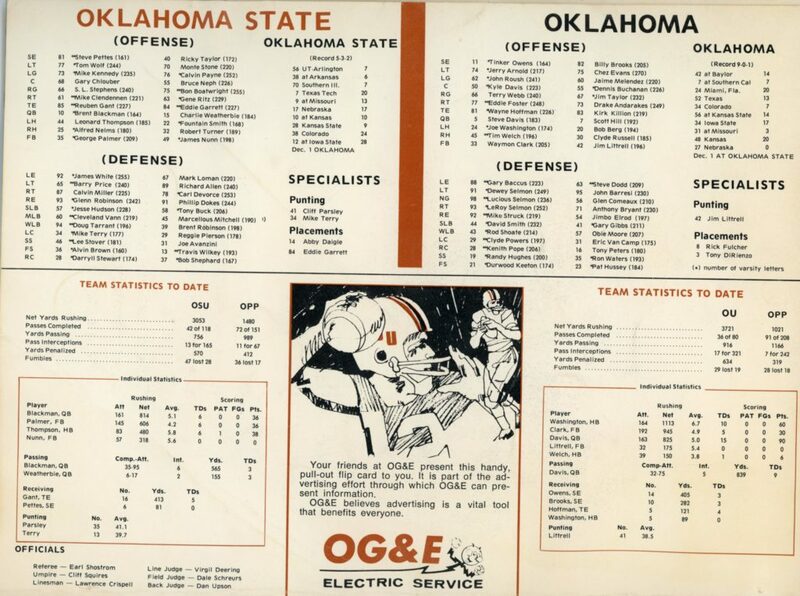 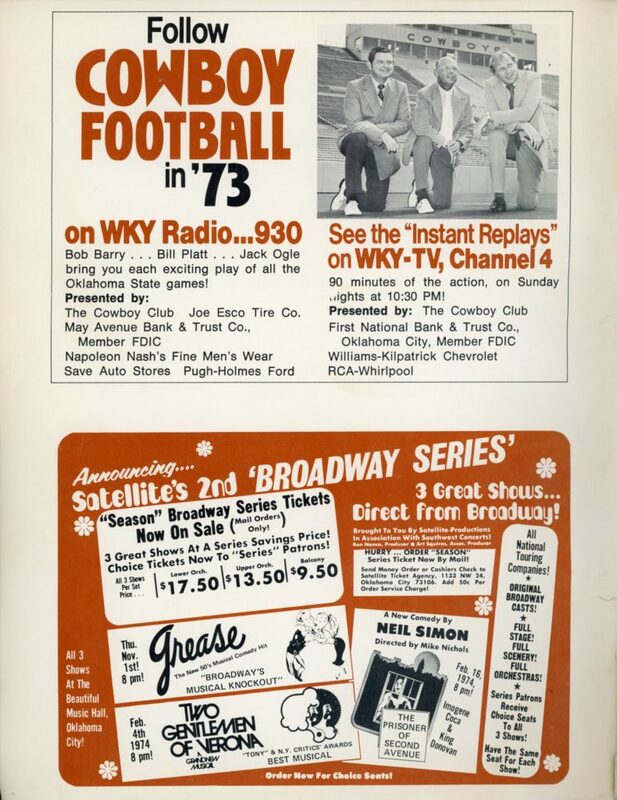 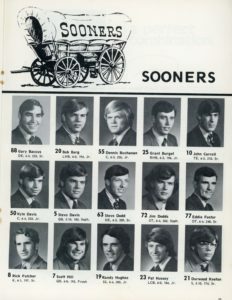 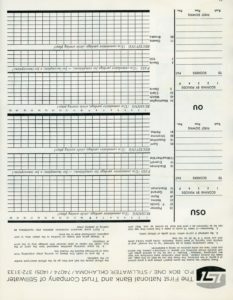 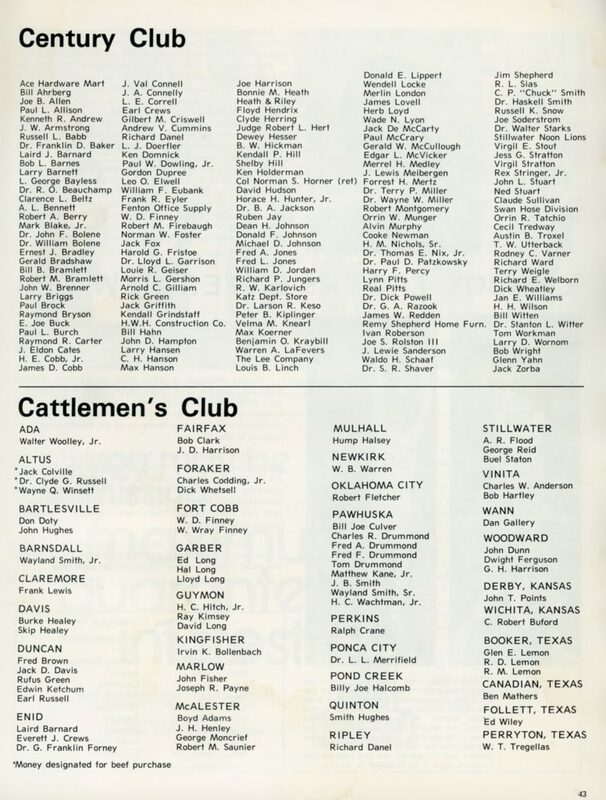 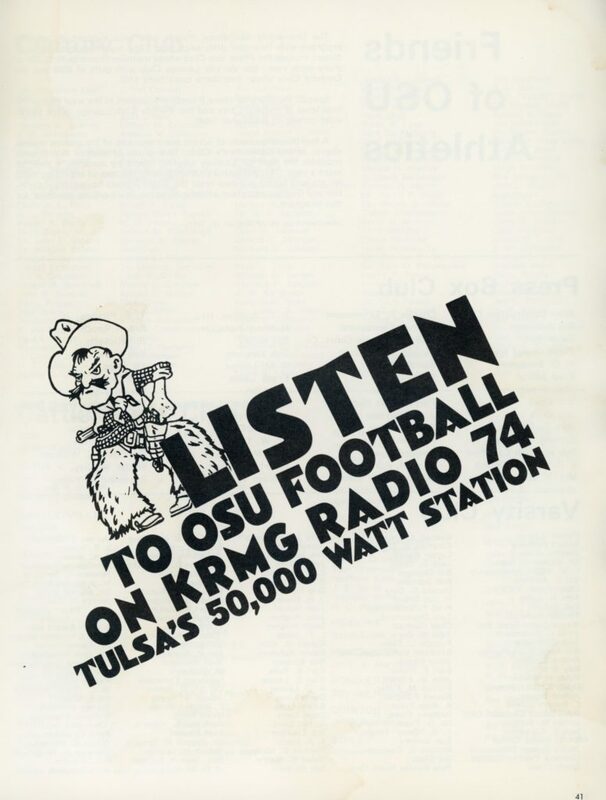 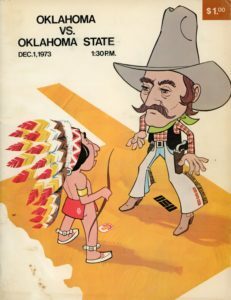 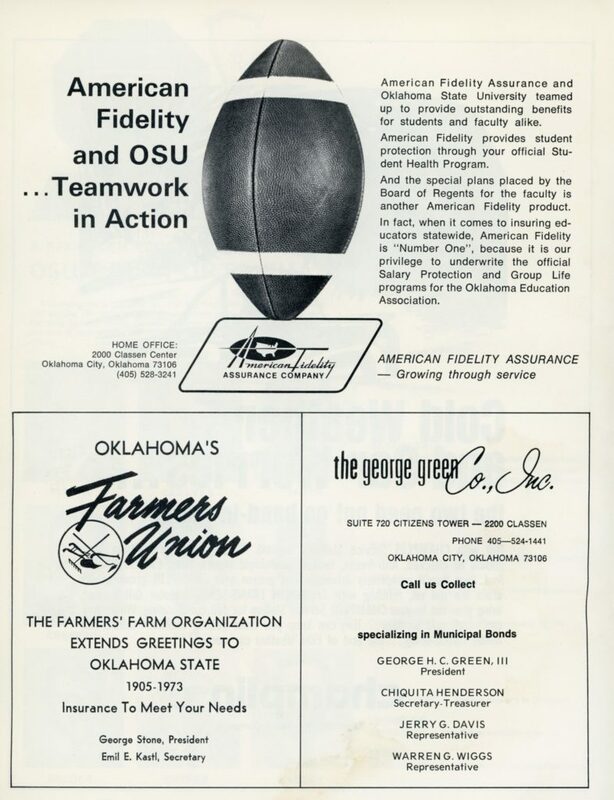 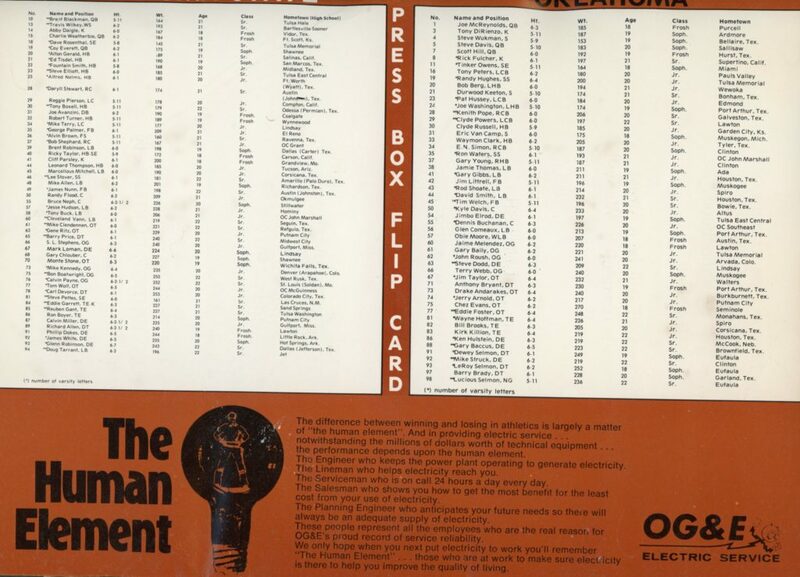 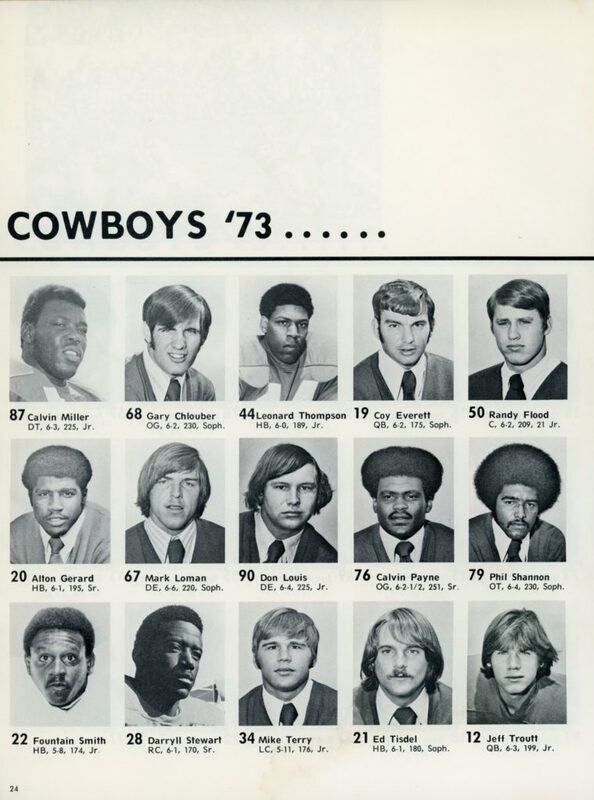 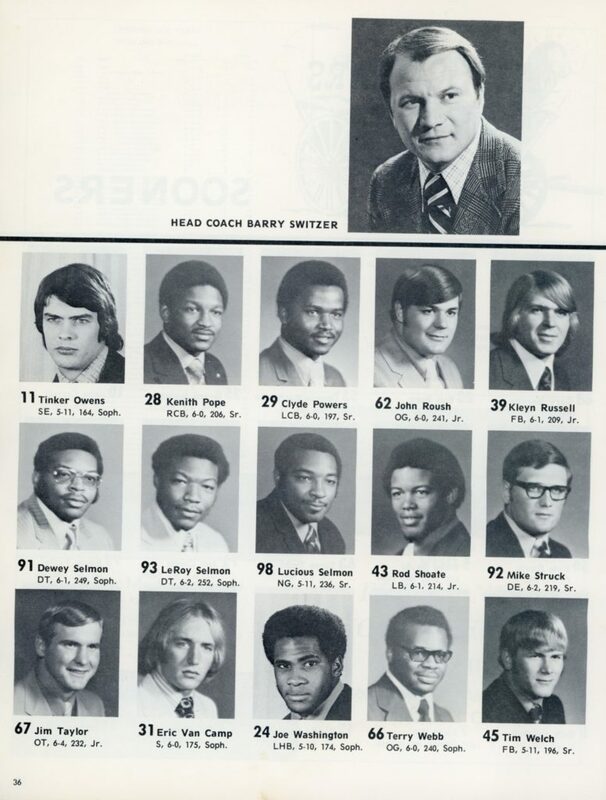 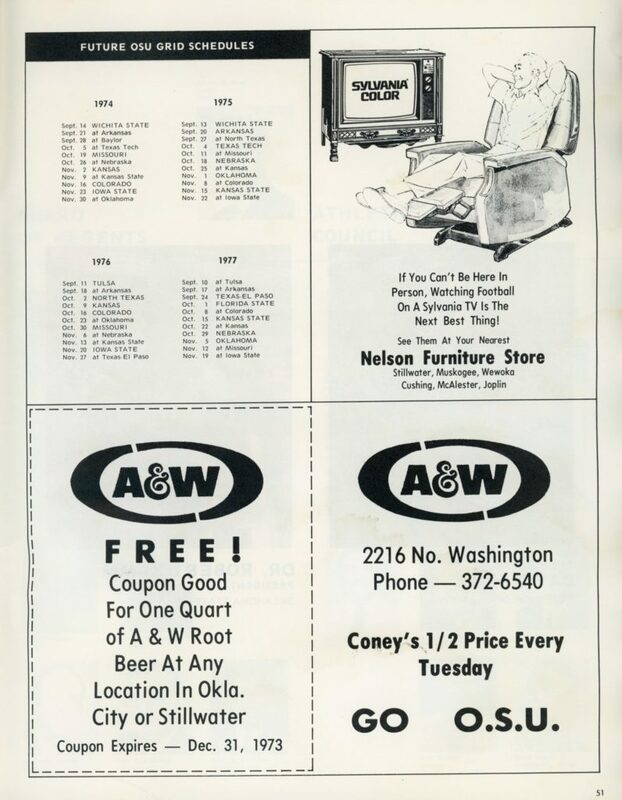 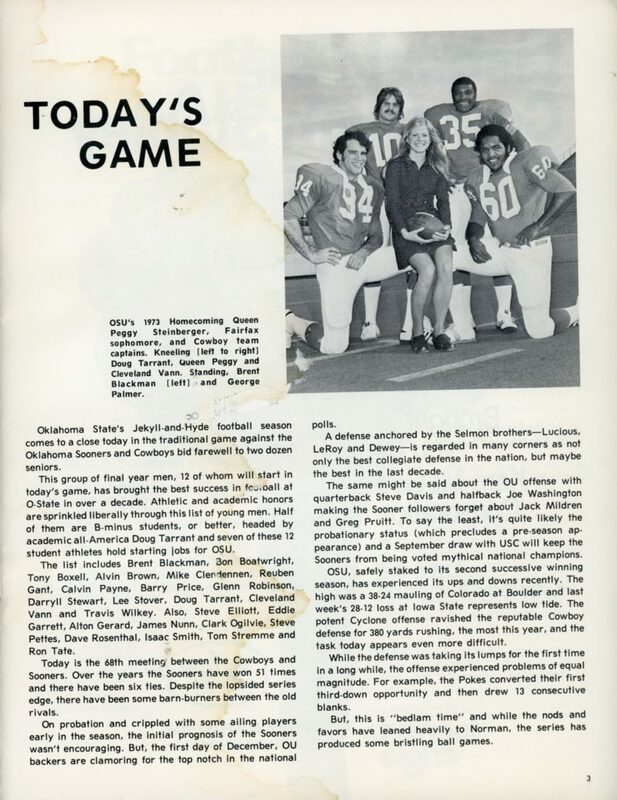 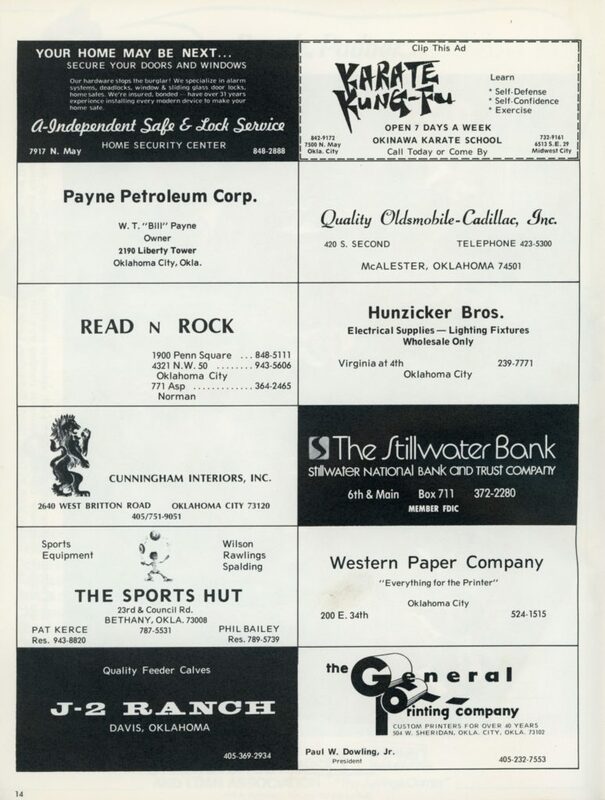 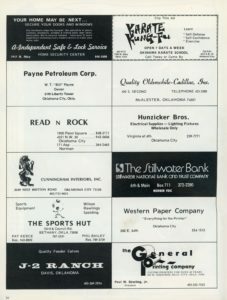 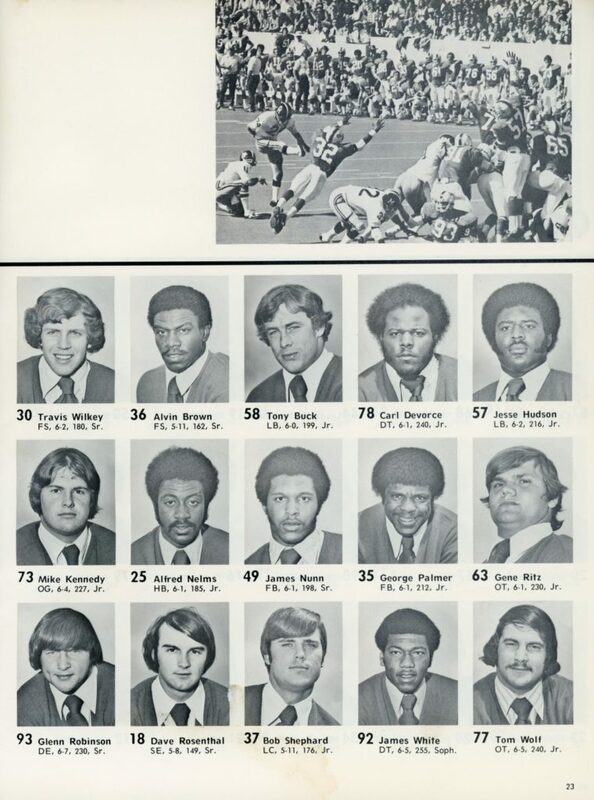 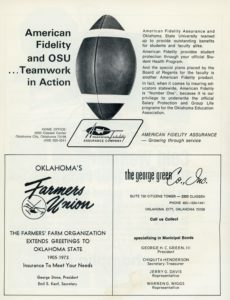 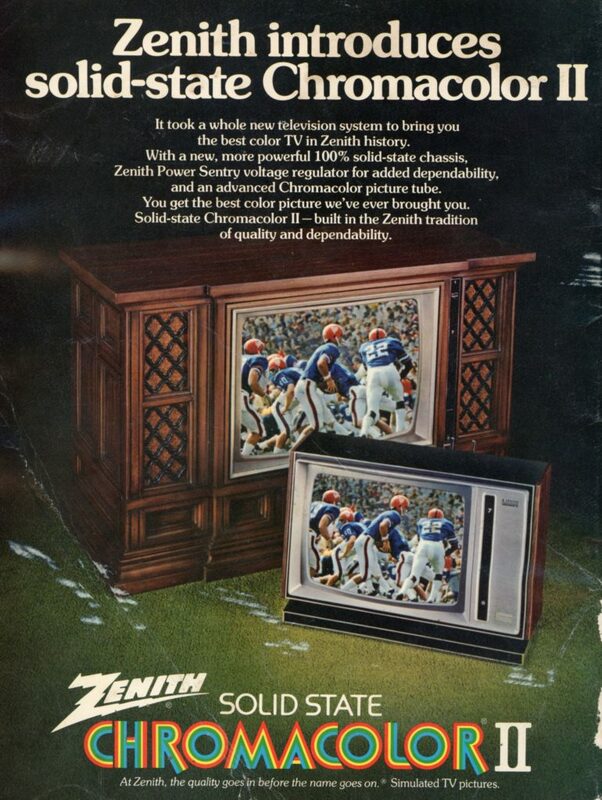 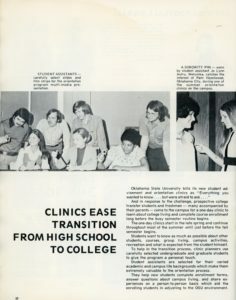 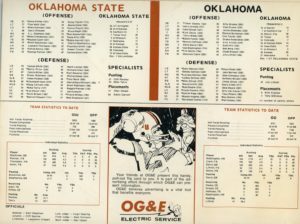 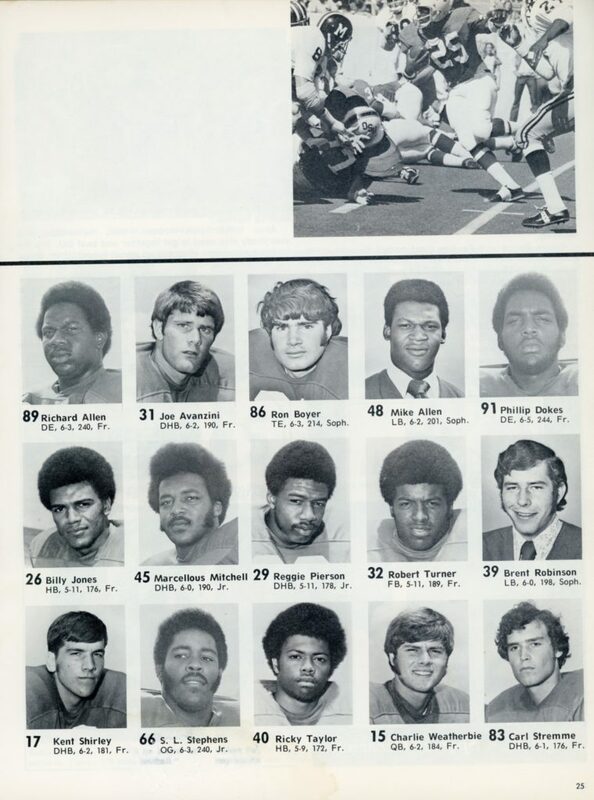 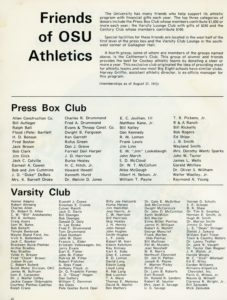 In case you’re wondering, OU won the 1973 match up with OSU, beating the Cowboys 45-18. 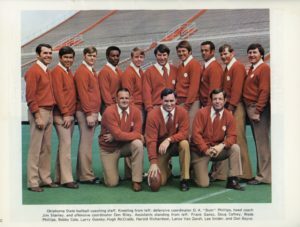 Under new head coach, Barry Switzer, the Sooners won every game except for their meeting with USC, and that was a tie, 7-7. 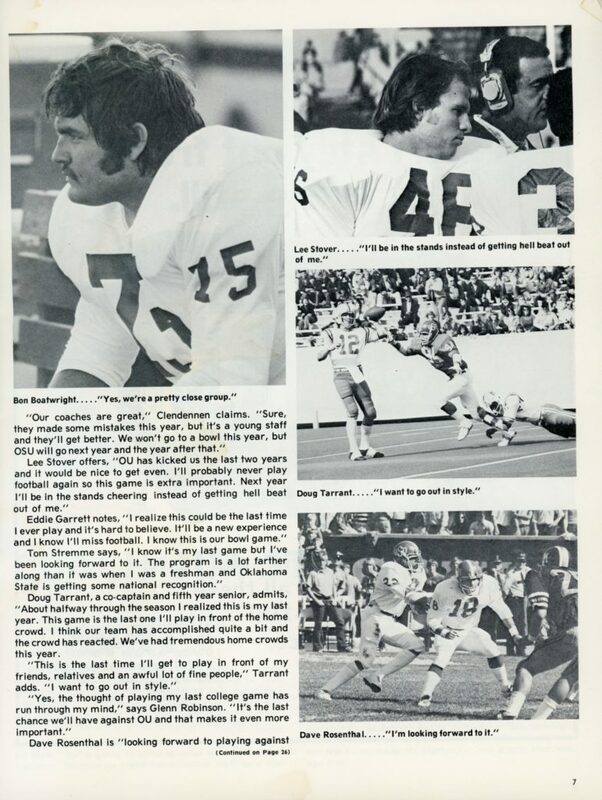 This stellar record earned the Sooners their first of eight consecutive Big 8 conference titles under Switzer’s leadership. 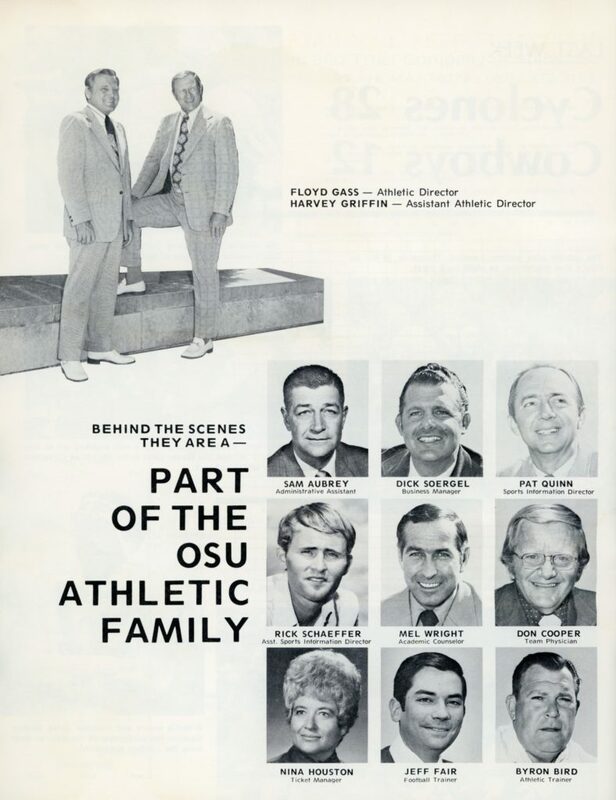 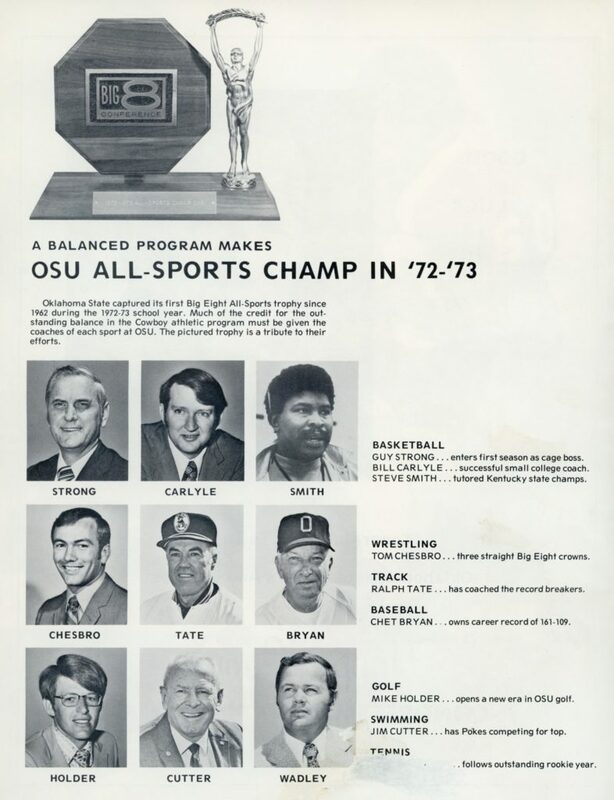 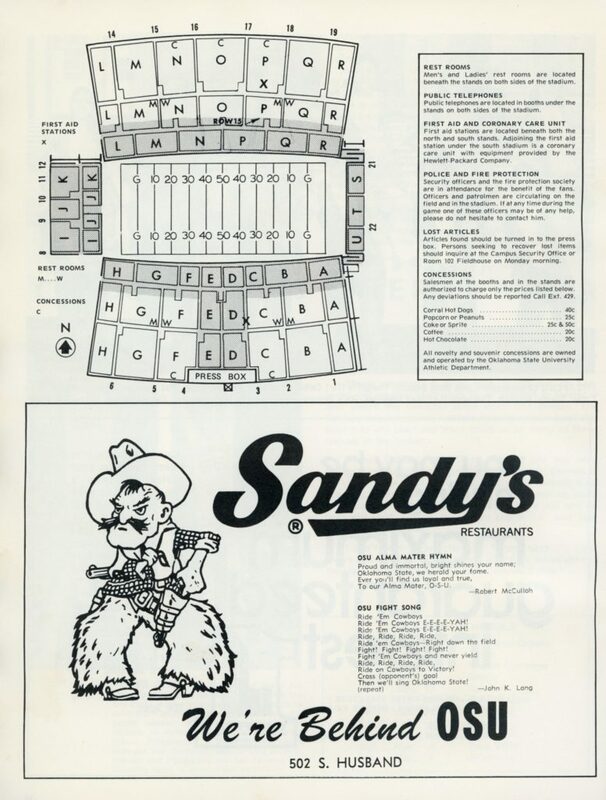 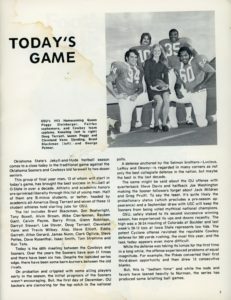 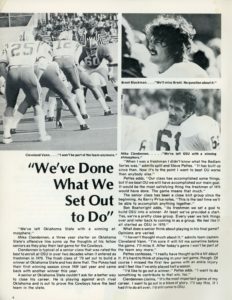 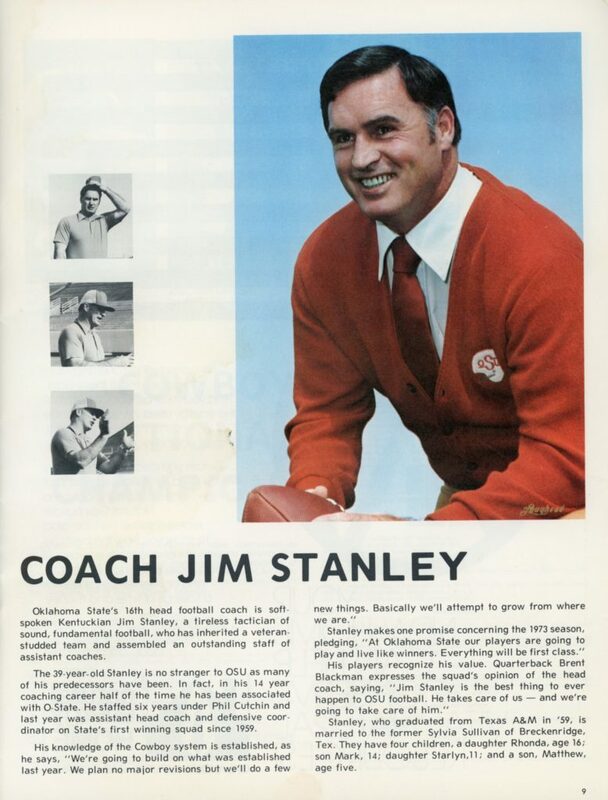 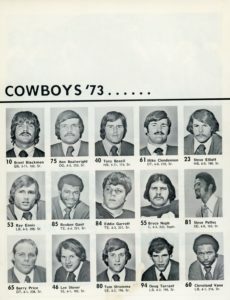 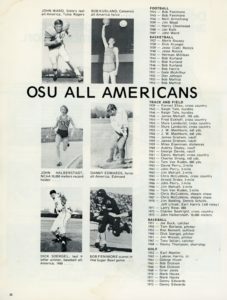 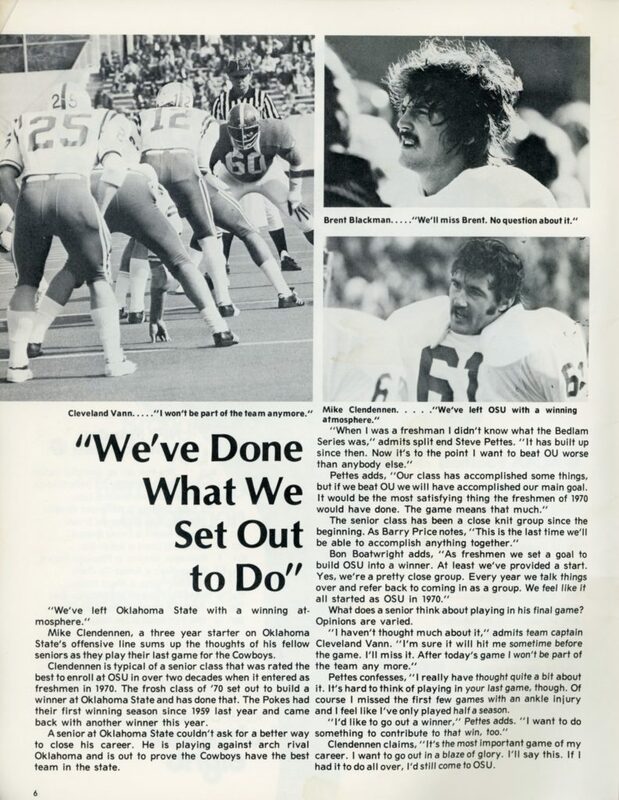 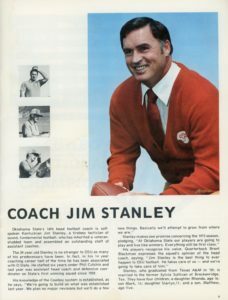 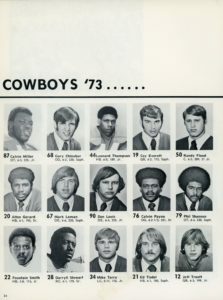 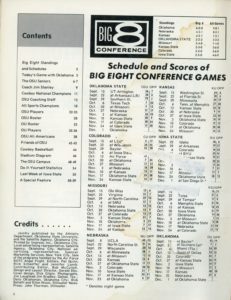 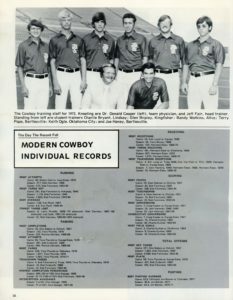 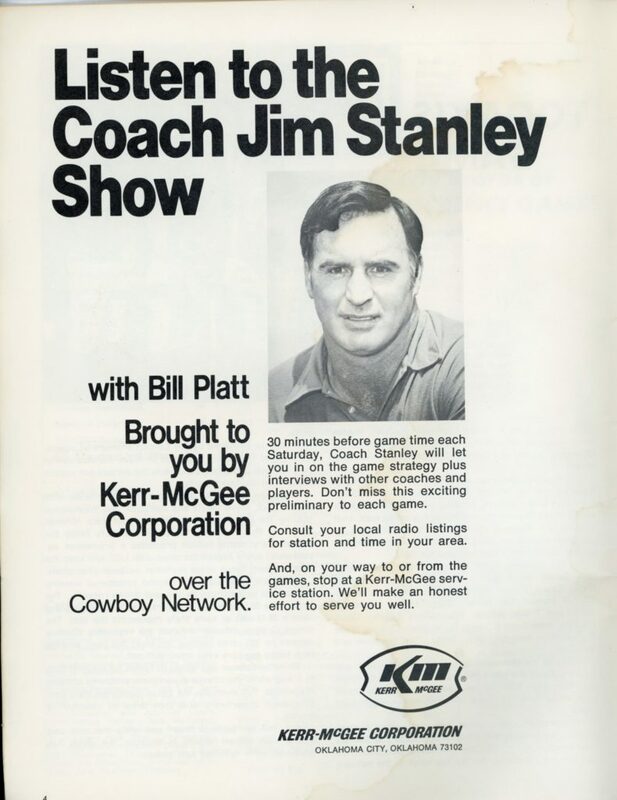 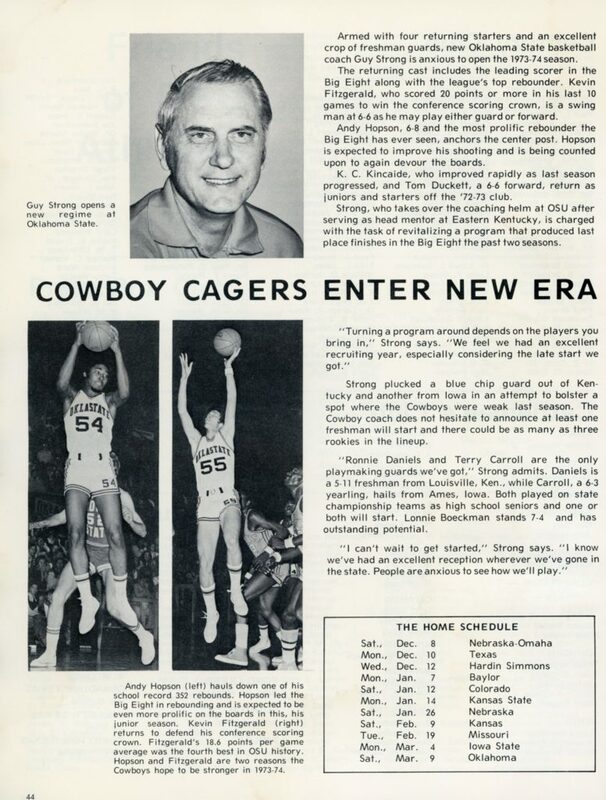 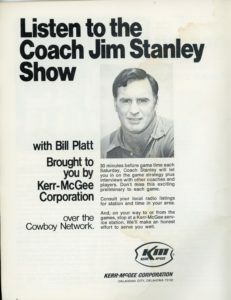 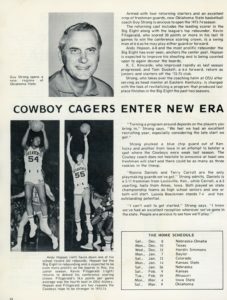 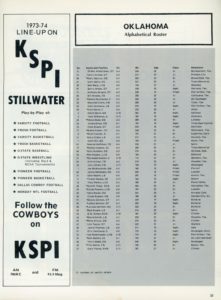 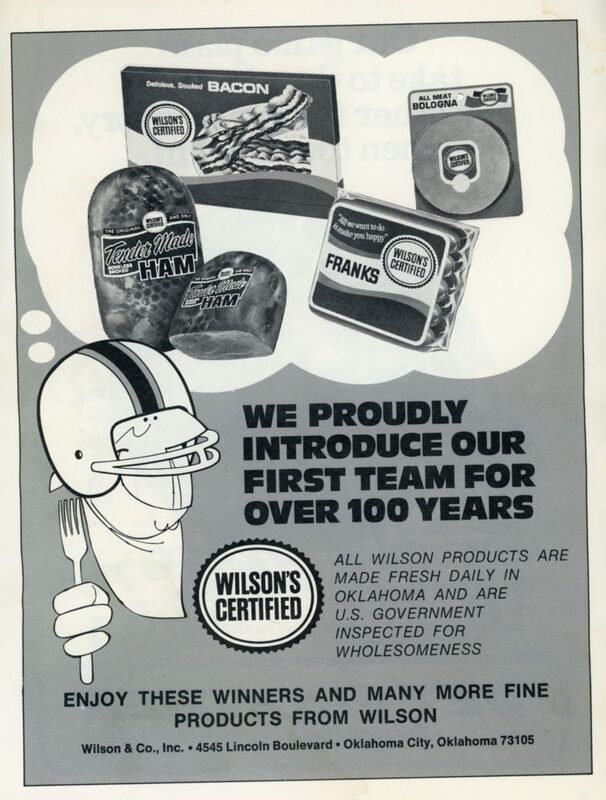 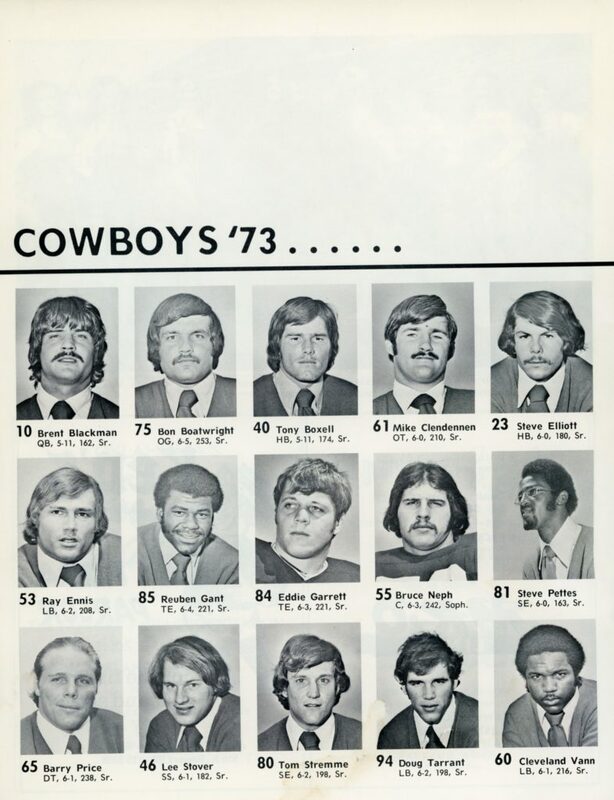 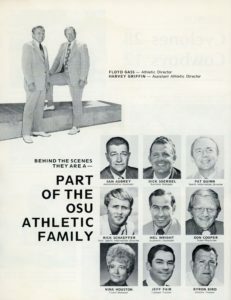 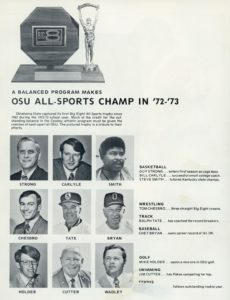 As for OSU, this was the first and only season that the Cowboys were lead by head coach Jim Stanley, and their record for the year was 5–4–2. 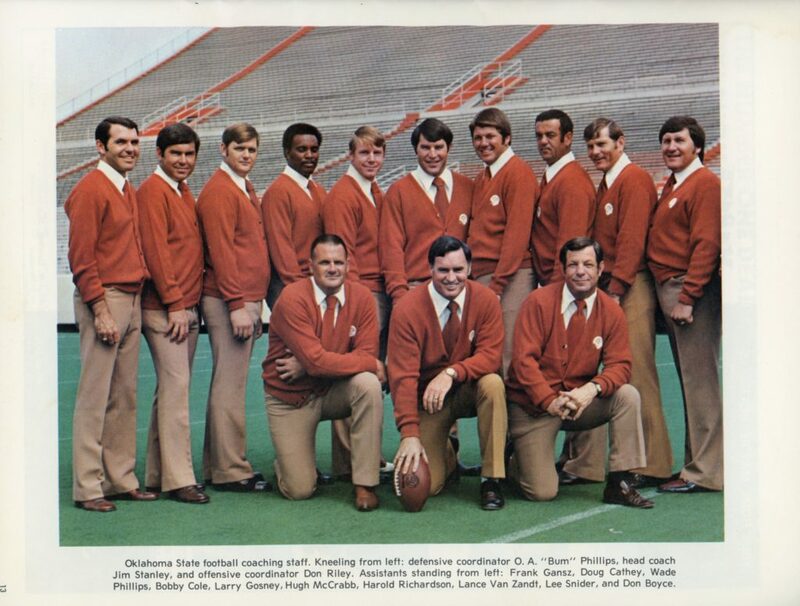 More importantly than that, did you notice that the OSU uniforms were a much more deep and muted orange than they are now? 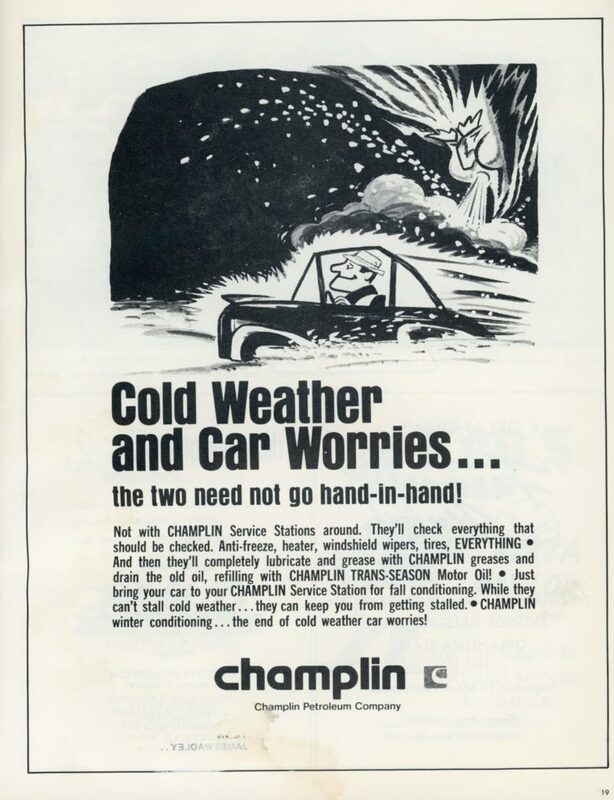 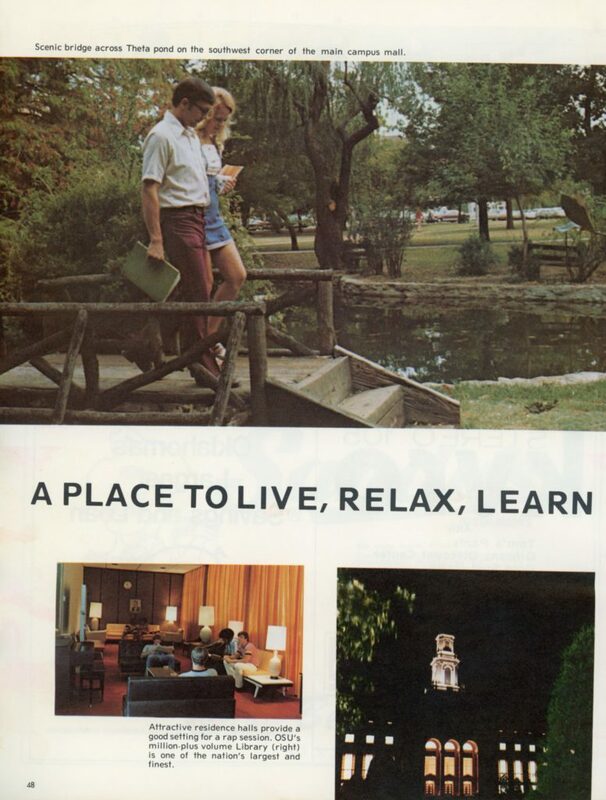 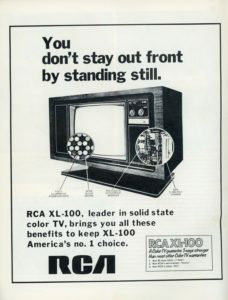 I think I like the ’70s color better, how about you?